There are many theories that seek to clarify the relationship between our offline existence and whatever it is we are doing online. I say “whatever” not to be flippant, but because there is a great deal of debate about the ontological, conceptual,and hermeneutic ramifications of online activity. How much of ourselves is represented in our Skyrim characters? Is retweeting an #ows rally location a political act? How is access to the Internet related to free speech? These are questions that some of the greatest minds of our day are contemplating. I know some equally smart people that would throw up their hands in frustration at even considering these topics as worthy of research and critical analysis. Regardless of whether or not you think it is worth pondering these questions, people all over the world are engaging in something when they post a Facebook status or check in to a coffee shop on Foursquare. In his Defending and Clarifying the Term Augmented Reality, Nathan described how our relationship to these sorts of digital Information and Communication Technologies (ICTs) fits in with our historial relationship to technology: “technology has always augmented reality, be it in pre-electronic times (e.g., architecture or language as technologies) or how those offline are still impacted by the online (e.g., third-world victims of our e-waste or the fact that your Facebook presence influences your behavior even when logged off).” I have argued elsewhere that, even if ICTs mark a fundamental shift in our relationship to technology, it is only another wave in a constantly evolving relationship to our own understanding of technological progress. I am going through this (hyperlinked) summary of many of this blog’s larger arguments because 1) we have been growing in readership, and 2) we are embarking on a new, ongoing, project to situate Augmented Reality (AR) amongst other theories of society’s relationship to technology. Today I want to introduce Actor Network Theory (ANT). …a disparate family of material-semiotic tools, sensibilities and methods of analysis that treat everything in the social and natural worlds as a continuously generated effect of the webs of relations within which they are located. It assumes that nothing has reality or form outside the enactment of those relations. Its studies explore and characterise the webs and the practices that carry them. (Law 2009). After several hours, the IT working group resolves that 4G hotspots will not cooperate with their encampment. The 4G signal refuses to visit the park with the same regularity as the activists. Without the 4G signal, those in the park are unable to reach their fellow activists, computers, protest signs, and supplies located throughout the Hudson Valley region. The IT working group decides instead, to project a wireless signal from a nearby apartment into the park. They devise an assemblage of signal repeaters and routers that will provide a more reliable stream of data that will show up on time to general assemblies, and in sufficient numbers. The working group believes that the attendance of broadband Internet will allow the geographically and temporally dispersed occupiers to be enrolled within the larger actor-network of Occupy Albany. This increased attendance by activists, broadband connections, and networking hardware, according to the facilitation working group, will lend more authority to the decisions that come out of the GA and keep the occupation going through the winter. You will note that I use the same language to describe both human and nonhuman entities. I describe the GA as attended by not just people, but 4G signals and wifi hardware. The relationships between all of these things, the actor-network, is what’s under investigation. The actants are simply constituent nodes that facilitate a larger functioning. If the occupation does not last through winter, an ANT theorist could blame the inability of the IT working group to enroll sufficient broadband connections that facilitate at-home GA attendance. Actor Network Theory has received its fair share of criticism. Sandra Harding has criticized ANT for dismissing such basic social factors as race, class, gender, and postcolonialism. By ignoring these basic categories of social science, ANT is incapable of challenging the power of racism, oligarchy, patriarchy, or eurocentrism, respectively. David Bloor (1999) and Sal Restivo (2010) object on similar grounds, noting that ANT’s vocabulary and analytical tools cannot challenge power structures, it can only describe them. They also openly question whether or not ANT should even be called a social theory at all. This post can only give the very basic outline of what Actor Network Theory says and does. 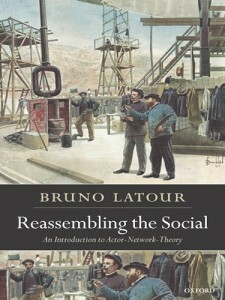 If, after reading this post, you want to know more about ANT, I would recommend Reassembling the Social by Bruno Latour. If you don’t want to read a whole book, check out John Law’s chapter “Actor Network Theory and Material Semiotics” (this is the piece I quoted earlier) in the New Blackwell Companion to Social Theory. Other prominent titles that explicitly employ ANT or are closely associated with that school of thought are: The Pasteurization of France, We Have Never Been Modern, and any of the chapters written by John Law, Michel Callon, or Bruno Latour in The Social Construction of Technological Systems and Shaping Technology/Building Society. This very basic introduction to Actor Network Theory serves as the launch point for a much longer discussion of Augmented Reality’s relationship to Actor Network Theory. I hope this post gives you the ability to do your own comparison of ANT and AR before we tackle the subject ourselves. My next post will focus on ANT and AR’s different historical accounts of Western society’s relationship to technology. While Latour claims “We Have Never Been Modern” we at Cyborgology claim “we have always been augmented.” I will summarize both of these arguments to the best of my ability and make the case for AR over ANT. great post - enjoyed the ANT lens on #occupy and am looking forward to the comparison. i find that the work that i'm doing on identity and practices seems to benefit from both ANT and AR perspectives...trying to account for agency of objects and for power without making a dualist separation between online and off...it hurts my head. but it sure is interesting. Great intro to ANT David, really liked it. Some people who work more on affect are tying to solve the power critiques you mentioned above, Jane Bennet's "Vibrant Matter: A Political Ecology of Things" especially comes to mind. I'd love to hear more about how augmented reality perspectives influence your data collection for ANT, especially in comparison to the graphaholicism we see in a lot of HCI, informatics or big data disciplines that use social network analysis. How does ANT help you gather doing, speaking data, instead of a stack of numbers that need to be massaged into something meaningful by the social scientist? The lens offered by the ANT descriptions is really refreshing. I am curious whether identity issues could be rolled in as attribute actants, as being present With the person... 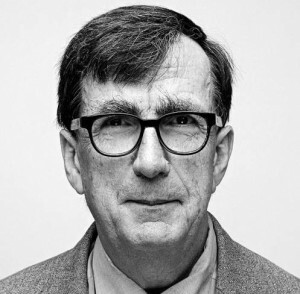 I will definitely check out Latour's book and see what I think after reading it. I am really looking forward to seeing the post working to interface ANT and AR. My mind is already buzzing with possibilities! Or are the possibilities visiting with my mind with increasing frequency? Brilliant. It's interesting to read the criticisms as I'm using ANT as a way of creating comparative studies in material culture and I've seen it used in identity politics too. I'll look into those writers a bit more. Looking forward to reading future posts!